This is one of our favorite outdoor strains for cold climates. Her big colas are very resistant to mold and will perform in some of the worst environments. She is very easy to grow and during her 100 days of growing from seed to harvest she will grow an enormous main cola if not topped. The extra time of vegging for Nordurt makes her a little more forgiving than most faster autos out there and she can even handle a transplant if you wish to start her of indoor in the early spring - but do it gently. Nordurt was originally given to us by kind people from the Danish hippie community "Thylejren" more than a decade ago. We were given two different strains - Pibeurt (Pipe-weed) and Nordurt (Northwort). They have both been grown there for as long as any hippie out there remembers. We only found out a few years ago that Nordurt is automatically flowering.. It had never been grown indoors so everybody assumed it was just flowering very early like the Pibeurt. We have loved them ever since as they never fail to impress. 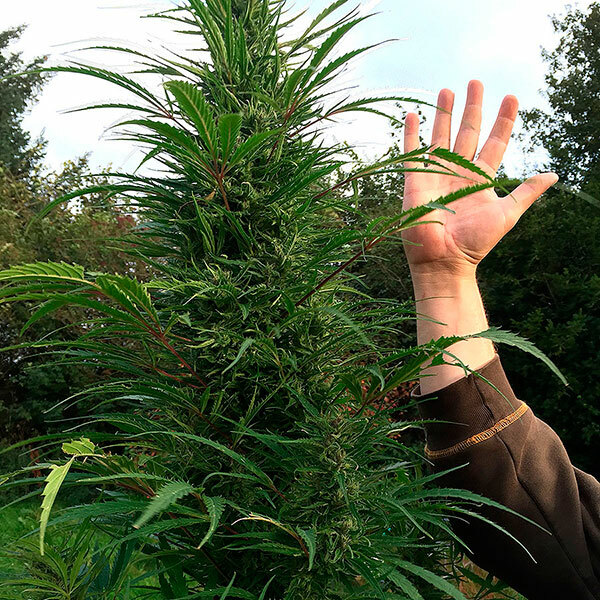 This plant has both phenos that tend to grow one very big cola that is not too dense. Other phenos get very branchy with room for good air flow. This is what makes it the perfect cold climate ourtdoors strain. Since it has some extra days of vegging compared to most regular autos, this will respond very well to topping and other forms of training. If not a little leaf tucking will do wonders.